In the city of ______________________ , State of _____________________ at ______ day of ________________ of the year 201__. This NOTICE OF PRIVACY is extended to inform you and notify you about the purpose of the use of your sensitive and non-sensitive personal data, in accordance with the provisions of the Federal Law on Protection of Personal Data Held by Private Parties (LFPDPPP). We inform you that your personal data will be safeguarded under strict administrative, technical and physical security measures which have been implemented in order to protect your personal data against damage, loss, alteration, destruction or unauthorized use, access or processing . The AUTOTANQUES NIETO, S.A. DE C.V. company is responsible for the processing of your personal data; it is made known to him that the department of HUMAN RESOURCES is the one that will attend the requests of the holders for the exercise of the rights to which the LFPDPPP refers. Recruit, evaluate (laboratory tests, antidoping, psychometric, psychological, integrity and polygraph, socioeconomic studies, IMSS data, Infonavit, criminal records and labor lawsuits) considered as sensitive according to the Federal Law on Protection of Personal Data in Possession of Individuals; in order to obtain the necessary information to verify compliance with the required profile, and in the case of hiring. As well as archiving in the company’s database for statistical purposes. In the applicable case, identify you as employee of AUTOTANQUES NIETO S. A. DE C. V.
In the applicable case, carry out all the procedures and / or internal procedures of AUTOTANQUES NIETO S. A. DE C. V. to perform their hiring and fulfillment of the labor benefits acquired by virtue of the employment relationship. Likewise, we inform you that your sensitive or non-sensitive personal data can be transferred and treated by people outside of this company. In that sense, your information may be shared with third parties and / or with Insurance and Surety Institutions, or other governmental institutions, for contracts and quotes; or to comply with various fiscal provisions; third parties who must sign the corresponding privacy and confidentiality notice in the handling of the information and will have the obligation to safeguard your data and protect them at the address indicated for said purpose by said third parties, limiting their use and disclosure, based on the measures of administrative, technical and physical security that they have established for such effects. We also inform you that your personal data can be transferred and treated inside and outside the country, by different people to this company. In that sense, your information may be shared with third parties and / or with Insurance and Surety Institutions, or other governmental institutions of the United States of America (USA), for the purposes indicated above. If you do not express your opposition so that your personal data are transferred, it will be understood that you have given your consent to do so. Provide employment information (date of entry and / or date of withdrawal and / or position and / or reason for termination and / or performance in general and specific and / or seniority and / or income), to legal entities, third parties and / or Insurance and Surety Institutions, or other government institutions, for contracts and quotations thereof; or to comply with various tax provisions, which require it. By signing this Privacy Notice you give your consent regarding the processing of your sensitive and non-sensitive personal data; Notwithstanding the foregoing, you have the right to access and / or rectify and / or cancel your personal data, as well as to oppose the processing thereof and / or revoke the consent that has been granted for such purpose, through the procedures that the aforementioned company has implemented. 05 de Febrero # 1724, Zona Industrial Benito Juárez, Querétaro, Qro. ZIP Code 76130 and the following email address: contratacioncentro@autotanques.nieto.com.mx for staff at the Center of the country. Del Federalismo # 201, Fraccionamiento Industrial La Silla, Cd. Guadalupe, Nvo. León, ZIP Code 67180 and the following email address: contratacionnorte@autotanques.nieto.com.mx for staff at the North of the country. Km. 1.5 El Dorado Highway, Culiacan, Sinaloa. 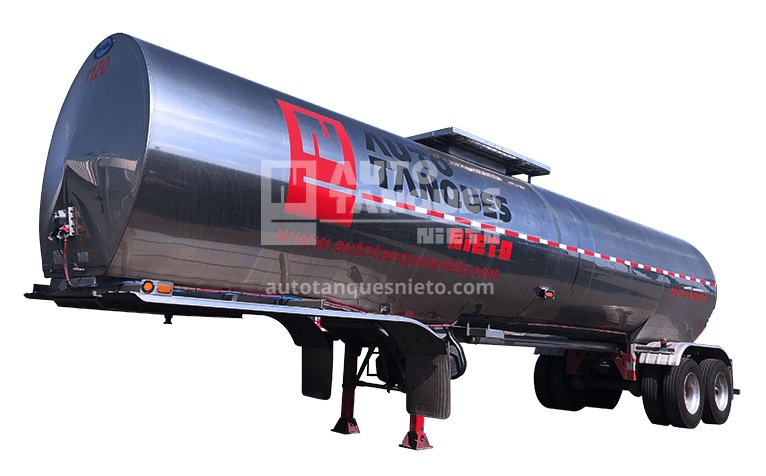 ZIP Code 80130, and the following email address: contratacionpacifico@autotanques.nieto.com.mx for personal Pacific Zone of the country. For this, it is necessary that you submit your request in writing to the department of HUMAN RESOURCES. If you require more information about our privacy notice, you can obtain it through the aforementioned department. It is also informed that when the data obtained are no longer necessary for the purpose indicated in the preceding paragraphs of this notice, for having complied with the purpose for which they were obtained, these will be duly canceled, in the terms contemplated in the Law referred to above. We reserve the right to make modifications or updates to this privacy notice at any time, for the attention of new legislation or jurisprudence, internal policies, new requirements for the provision or offering of our services. These modifications will be available through the following means: (i) visible ads in our establishments; (ii) internal communications of the company; (iii) or we will send them to the last email or address you have provided, when requested. Autotanques Nieto, S.A. de C.V. I am free of any coercion and I expressly consent to the processing of my personal data and sensitive personal data in the terms and conditions referred to in this Privacy Notice.